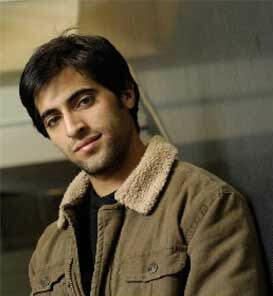 Newbie Akshay Oberoi, who is making his debut with Rajshri Productions' "Isi Life Mein", has a filmy link, his actor cousin Vivek Oberoi, but he clarifies that he got into the industry on his own and did not take any tips from his relative. "Vivek is my uncle's son. While growing up, we were both travelling and were at different places and so couldn't spend too much time together. So unfortunately the relation is not such that I ask him for any tips," Akshay told IANS. "I'm sure if I had asked for his advice, he would have given me some excellent tips. But we don't share such a bond that I would have approached him, as there is not too much interaction," said the youngster. If "Isi Life Mein" is Akshay's launch pad, it also marks the debut of Vidhi Kasliwal, niece of filmmaker Sooraj Barjatya, as a director. In the film, Akshay plays college student Vivaan. He says: "My role is of a very hardworking and passionate guy who loves theatre. He is someone who believes that one should achieve one's dreams in this life itself and that one should not stop wanting them even if society tells you to do so or your parents ask you to do it." Drawing similarities between him and his character, he said: "The character is very similar to the real me, so I really relate to him. In college I was in theatre. I also have the same ideologies in real life. The only difference is that in the film this guy has a temper, but I'm not like that." Akshay, who has done his Bachelors in theatre from Johns Hopkins University, Maryland, went to Los Angeles to study theatre at the Stella Adler Conservatory. He has also studied theatre under Hollywood actors - John Astin and Sean Astin from "Lord of the Rings". In spite of being a qualified theatre person, Akshay was always clear that his ultimate destination is Hindi films. "My dream has always been films. Although I love theatre I wanted to be in films because I am a great fan of Hindi cinema. But I realised very early that a right training ground for an actor is theatre. It gives you the technical skill of being an actor. It makes you understand emotions and I feel that I made the right choice by taking this path." Despite his background, Akshay had to struggle for almost two years before being discovered by the Barjatyas. "It's a dream coming true that Sooraj-ji is launching me. He is so humble and taught me so much. He wasn't always on the sets because he wanted Vidhi to take charge. But he was a driving force for all of us. He never made me feel like a newcomer," he said. Akshay and Vidhi are not the only newcomers in the film. The female lead, Sandeepa Dhar, and many others from the supporting cast too faced the camera for the first time. Akshay feels the fact that the film is swamped with new faces doesn't go against them. "I was actually excited that I'll be working with so many newcomers. Since we all are new, we bring a new energy to the film. We have no baggage attached. We all wanted to go out there and do our best. The only thing lacking was experience and that will obviously come with time. So I don't think that it is a negative thing for us," he said. "I had a belief in the banner, the script, the director. Also, all of us are confident and believe in our talent."